Saving on gas isn’t just determined by the price you pay at the pump. 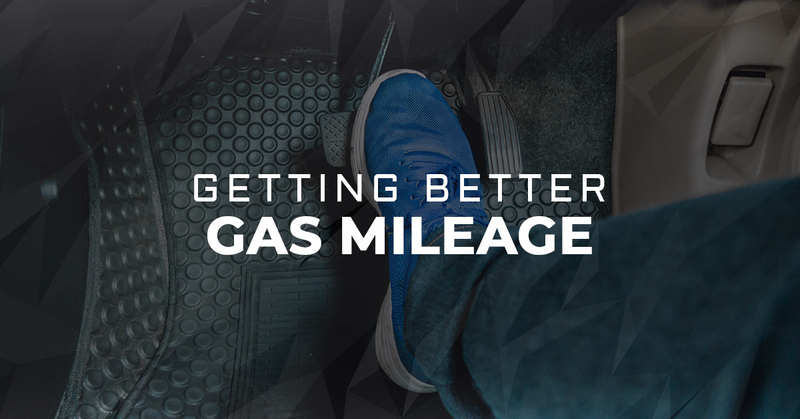 By taking steps to increase the fuel economy of your vehicle, you will end up spending less and buying less gas. Between vehicle maintenance and your driving habits, our goal at LOF-Xpress™ is to make sure your vehicle is delivering the best gas mileage possible. We encourage you to follow our Green Team tips below to help reduce gas consumption, and ultimately, save money! 1. Get regular oil changes. Of course we think it’s important, but did you know that, not only does your oil act as a lubricator, it also acts as a cleaner? Simply put — a clean engine gets better gas mileage. Follow the manufacturer’s recommendation for oil type and frequency of change to achieve optimum performance. Or stop by one of our stores for an always efficient and high-quality oil change. Check out our current money-saving offers here: https://www.lof-xpress.com/wc-special/. 3. Change the Air Filter. Your vehicle doesn’t just need gas to run. The engine requires oxygen and air filters remove any debris before the air in your engine combines with fuel. Thus, an air filter becomes an important part in fuel efficiency. Replacing a dirty air filter with a clean one can save up to 10 percent on fuel costs. 4. Change the Fuel Filter. Regardless of where you fill up your fuel tank there is bound to be at least some contamination. Your fuel filter is the first line of defense protecting your fuel system. A dirty fuel filter can send contaminants to your fuel system and damage critical components. 5. Replace Spark Plugs. Spark plugs utilize gas to manufacture force, moving the cylinders of the engine. If the spark plugs are corroded, it could lead to a loss of fuel. Switch out your spark plugs for new ones to enhance engine performance and save the fuel pump. 6. Accelerate/Brake gradually. It’s tough to do, but taking it easy on the throttle can really pay off. Don’t accelerate too quickly or slam on the brakes. You’ll save on fuel, as well as, wear and tear on your brakes – saving you even more money! 7. Use vehicle recommended fuel type. Follow the manufacturer guidelines on correct octane gasoline to use for your vehicle. Premium-grade fuel is more costly and won’t improve economy in vehicles designed to run on regular. 8. Slow down. Going fast is so tempting and sometimes a habit. We speed to keep up with the flow of traffic and to save time, but driving 60 mph on the highway, instead of 70 mph, will save you 2-4 miles per gallon over the duration of your trip. That adds up fast! Basically, by managing your driving habits and keeping up on vehicle maintenance, you have the power to increase the fuel economy of your vehicle, while saving money along the way! As always, we’re here to do our part. No appointment ever needed.